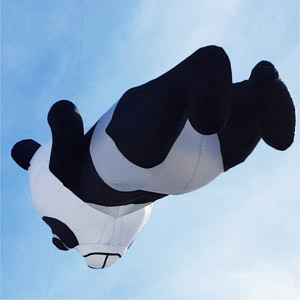 Completely ram-air inflated, Panda require no sticks or assembly. 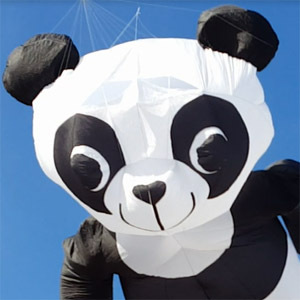 This unique kite is over 32 ft. tall. 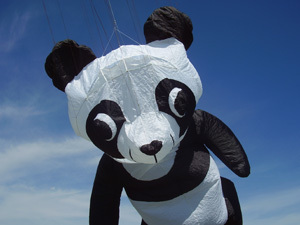 Pilot kite required. 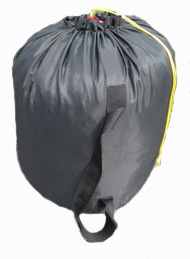 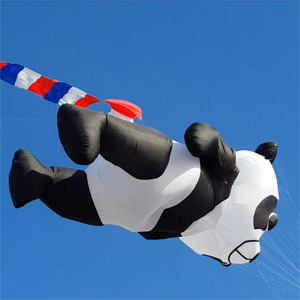 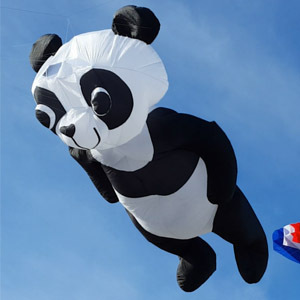 We have flow the Mama Panda on the following Pilot kites HQ 6.0 Sled, HQ 9.0 Sled HQ Flowform 3.0, and Sutton 30.